Our small farm is located outside of Maiden off Hwy 16 on Beda Rd. We started out as a hobby utilizing what we grow and raise to be more self sufficient and self reliant, hence the name "Freedom Farm" It didn't take long to grow from hobby into a booming full time business! 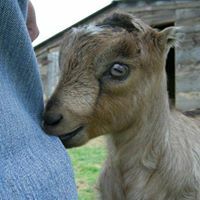 Handmade and farm crafted, We've been making goat milk soaps and skin care products for over 18 years. Raising our own dairy goats for the milk. We also have a flock of about 120 hens, pasture raised for delicious eggs! The wonderful products you will see at our market booth include a huge selection of goat milk soaps, luxurious hand & body goat milk creams, herbal salves, detergent free all natural laundry soap, lips balms and soothing bath salts, natural deodorants free of harsh chemicals, Arnica muscle rubs and creams and so much more!